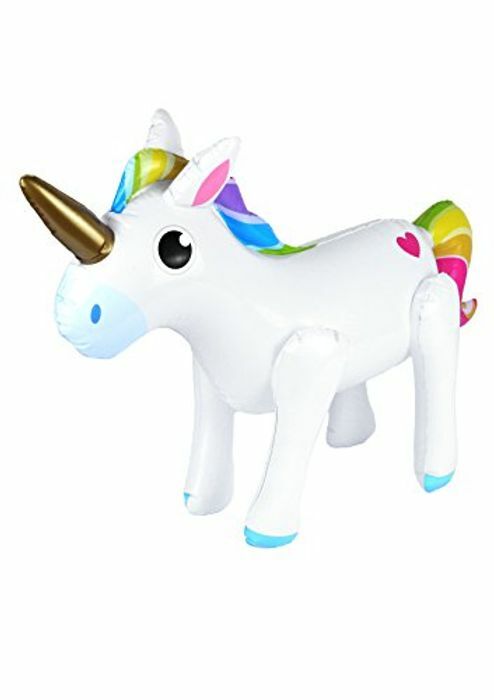 Inflatable unicorn 53cm. Kids will love this inflatable with the current hype on unicorns lately. I know way too many people that would absolutely adore this!! So, I better buy at least one and tuck the, away as a surprise. Thanks for sharing your deal. Excellent price, who doesn’t like a unicorn? Buy now and it’s sure to make a great gift. Great find and thank you for sharing this deal. I have managed to get one for a present. I know a little girl that will love it.